The knowledgeable design team at CCI Solutions have been able to take my chicken scratch drawings and crazy ideas and turn them to reality. It is great to have such a talented team come along side us to assist turning our visions into reality." Consistently one of the fastest growing churches in the United States, Northview Church has a bold goal to reach more than 20,000 people. Started in 1980 in Carmel, IN, Northview is committed to reaching people not just at their 2,500 seat main campus, but throughout Indiana. With 6 campuses in addition to the main Carmel campus, Northview began the process of building permanent buildings for these six additional campuses early in 2015, with Northview Fishers opening late 2015 and Northview Greater Lafayette in early 2016. Northview Westfield opened in April 2017. Described as one church with many locations, every weekend the exact same message is either given live or streamed by video. You’ll also experience contemporary worship and the integration of technology throughout the service. The Lafayette campus, located near Purdue University, features a 650 seat main auditorium, youth auditorium, and robust kids ministry. This facility, nearly an exact replica of the Northview Fishers campus, gives the Northview Lafayette team the tools they need to reach their city. 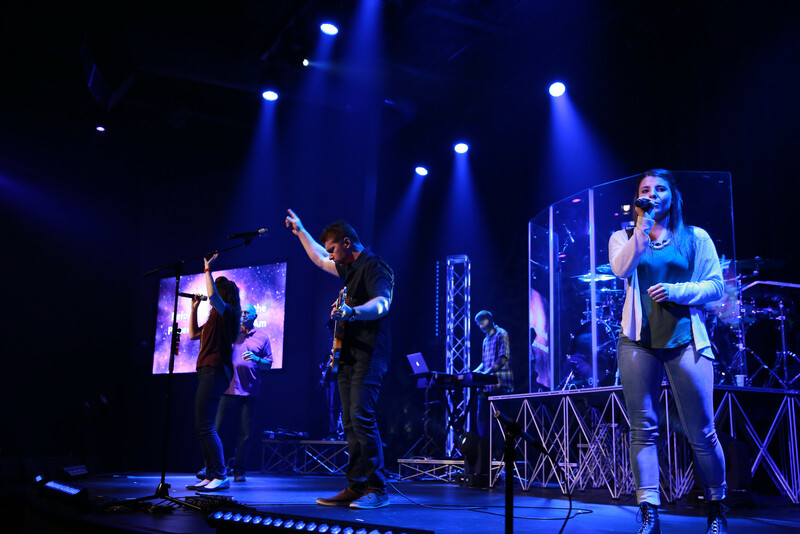 Technology plays a big role in everything Northview Church does, and their satellite campuses are no exception. The Main Auditorium features the big, warm, articulate sound of an L-Acoustics ARCS Wifo speaker system, mixed via a Yamaha CL5. 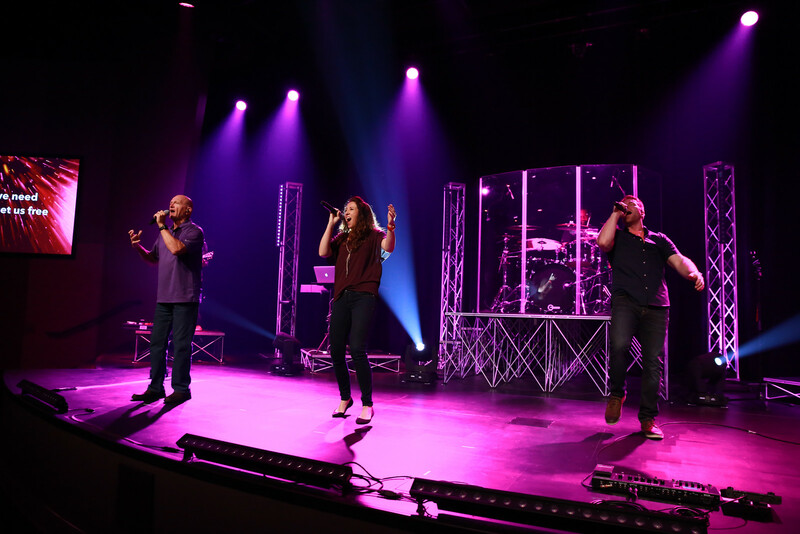 Musicians use Shure ULX-D wireless microphones, Shure PSM 900 wireless IEM’s, and Digital Audio Labs personal mixers to engage people in worship. Video is mixed and routed through a combination of a Ross Carbonite video switcher and Ross routers, and sent to three screens. 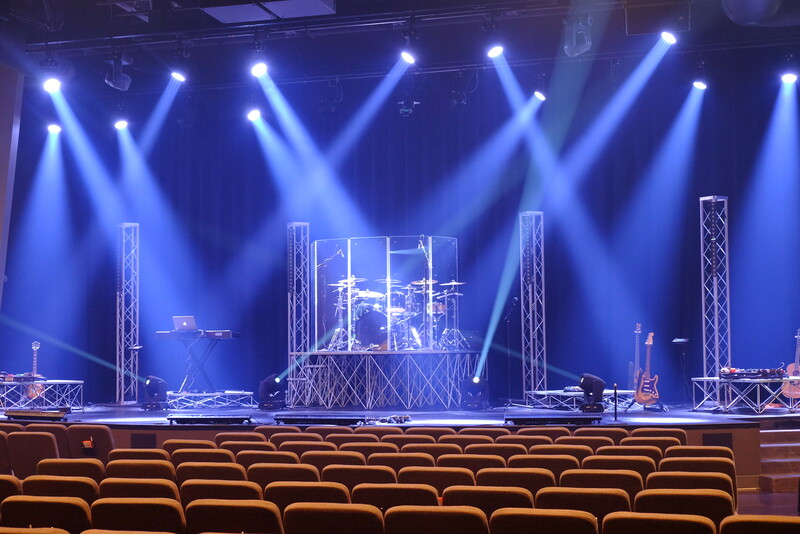 Two side screens with Barco RLM-W14 projectors handle all content during worship, as well as the streamed IMAG feed during the message. A Barco HDX-W20 projects a lock-down shot of Pastor Steve Poe preaching from the Carmel campus on a screen that comes down at downstage center after worship concludes. For the youth room, Martin CDD speakers mixed from a Yamaha QL1 handle the audio duties, with a simple switcher/scaler feeding two Hitachi projectors for content display.